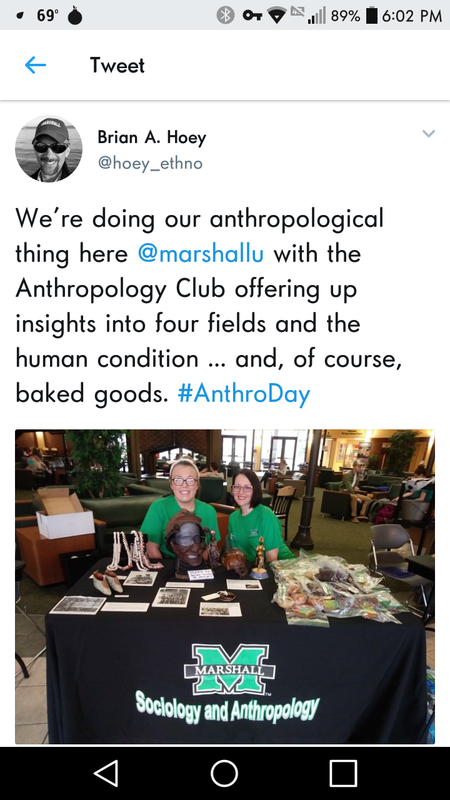 The Marshall University Anthropology Club, together with the American Anthropological Association, is celebrating anthropology and anthropologists around the world through Anthropology Day on 15 February 2018 in the Memorial Student Center from 11 am to 5 pm. 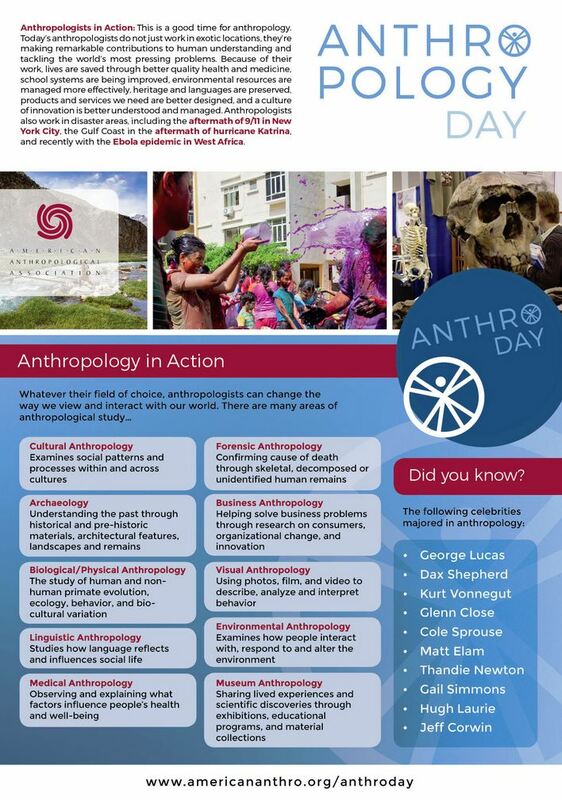 Anthropology Day is a day for everyone to celebrate and participate in this extraordinarily holistic discipline. Help us celebrate what anthropology is and what it can achieve for the greater good. There will be fun activities, baked goods, and plenty of ways to learn more about ways that you can be an anthropologist too!